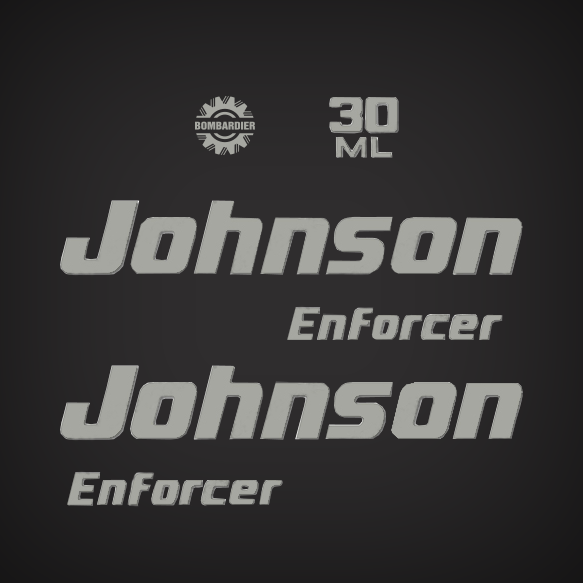 Johnson 30 hp Enforcer decal set replica for 2003 and 2004 Outboard motors. 17 - 5005519	DECAL SET. 18 - 0350381	*PLATE, "30 ML". 19 - 0350386	*PLATE, "BOMBARIDER". 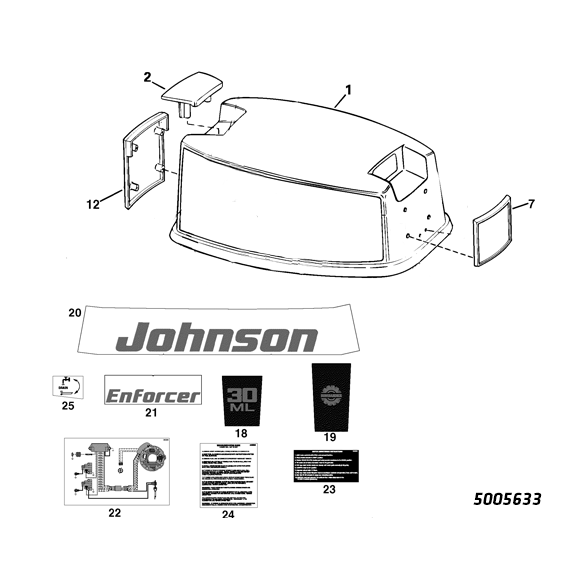 20 - 0350387	*DECAL, "JOHNSON". 21 - 0350388	*DECAL, "ENFORCER". 1 - 5005396 ENGINE COVER Assy.